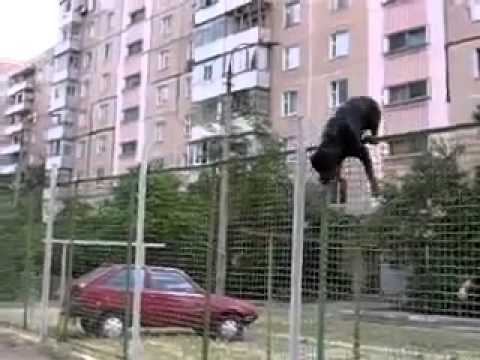 Rottweiler jumps a very high fence ! Rottweiler jumping a really high fence ! This amazing Rottweiler is jumping a really very very high fence, simply unbelievable what this dog breed (Rottweiler) can do. The video of this dog jumping the high fence has become a hit on Youtube and was shared a lot recently, most of the commenters were amazed by the power and the abilities of this dog. Pretty Good! Now don't show mine how to do that! !